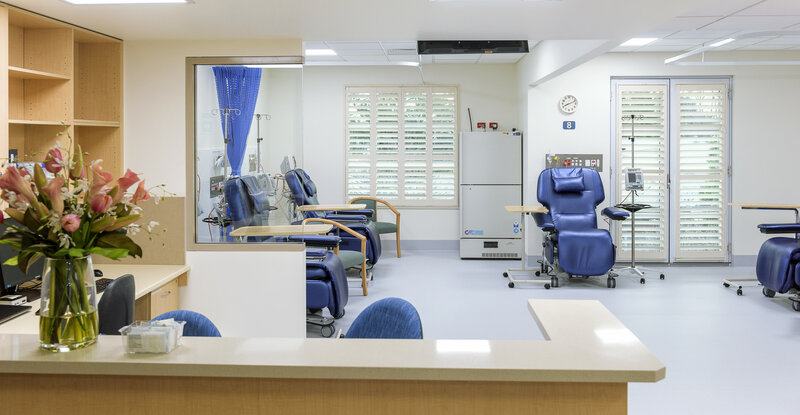 The refurbishment of the Brian Fricker Oncology Centre at Burnside Hospital has been completed in July and provides a comforting and spacious environment for oncology patients. The space was previously made up of separate, smaller rooms for treatment and consulting but the Unit located at the eastern end of the von Rieben North ward has now been opened up into one large room flooded beautifully with natural light. 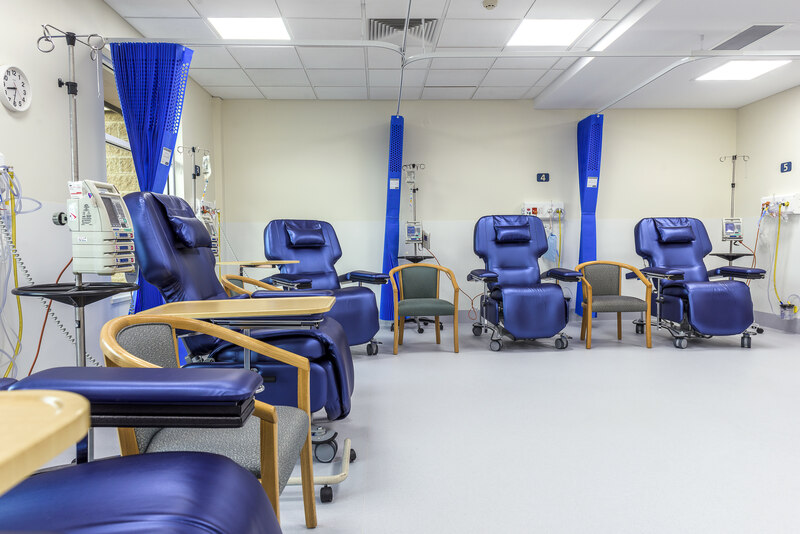 The floor is now a safe and hygienic vinyl complementing splashback walls and with contributions from the Burnside Hospital Foundation, we’ve replaced the old chairs with nine new adjustable and comfortable armchairs in electric blue. 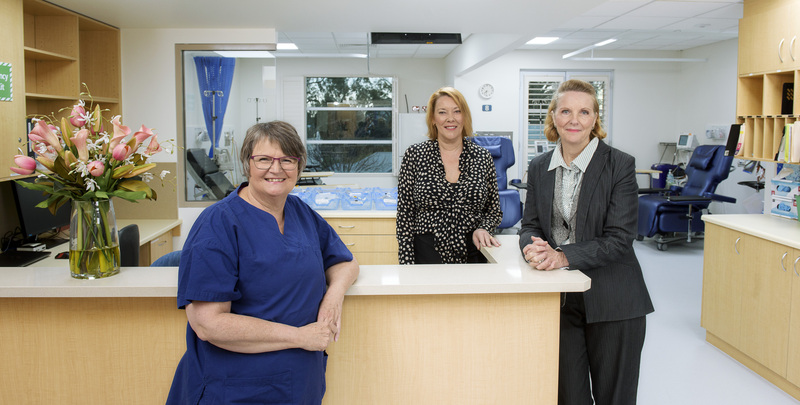 The redevelopment of the Brian Fricker Oncology Centre at Burnside Hospital enables our nursing and medical teams to deliver a more comfortable experience to patients at a time when they feel vulnerable and potentially very unwell. 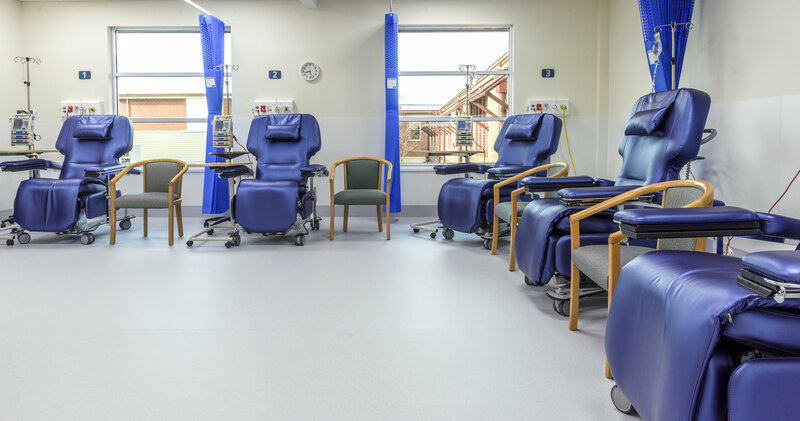 The open space, natural light and oversized treatment chairs provide a calming environment and our nurses have commented on how the patient flow and professional facilities have been markedly improved.